The lowly son of Joseph, carpenter. A man of sorrows, none we would prefer. We hid our face from him and still we do. Was wounded for our sins, his blood soaked through. Upon a rugged cross between two thieves. And lives within all those who still believes. If you but think of Him, your heart will soar. To merely see his body torn and rough. 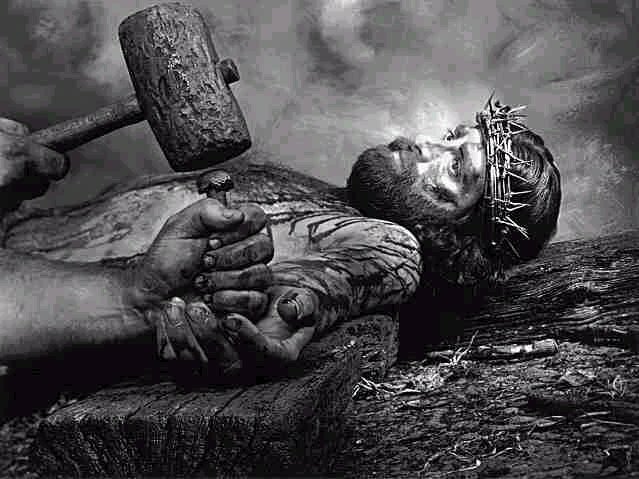 Then nailed upon the cross as his blood gushed. Christ died for you, this perfect Lamb sublime. Accept him as your Lord and then rejoice!